Applications -- ERP, CRM, HRM, CMS, BPM -- are not only fertile ground for three-letter acronyms, they're the engines behind every modern business. 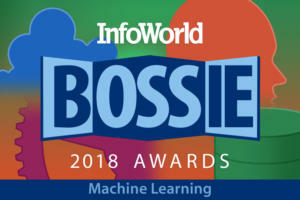 Our top picks in the category include back- and front-office solutions, marketing automation, lightweight middleware, heavyweight middleware, and other tools for moving data around, mixing it together, and magically transforming it into smarter business decisions. Small and midsize companies with light manufacturing or distribution needs have a friend in xTuple. This modular ERP/CRM combo bundles operations and financial control, product and inventory management, and CRM and sales support. Its relatively simple install lets you deploy all of the modules or only what you need today -- helping trim support costs without sacrificing customization later. Odoo used to be known as OpenERP. Last year the company raised private capital and broadened its scope. Today Odoo is a one-stop shop for back office and customer-facing applications -- replete with content management, business intelligence, and e-commerce modules. Odoo 8 fronts accounting, invoicing, project management, resource planning, and customer relationship management tools with a flexible Web interface that can be tailored to your company’s workflow. Add-on modules for warehouse management and HR, as well as for live chat and analytics, round out the solution. This year saw Odoo focused primarily on usability updates. A recently released sales planner helps sales groups track KPIs, and a new tips feature lends in-context help. Odoo 9 is right around the corner with alpha builds showing customer portals, Web form creation tools, mobile and VoIP services, and integration hooks to eBay and Amazon. Available for Windows and Linux, and as a SaaS offering, Odoo gives small and midsized companies an accessible set of tools to manage virtually every aspect of their business. Small and midsize companies have great choices in Odoo and xTuple. Larger manufacturing and distribution companies will need something more. For them, there’s iDempiere -- a well maintained offshoot of ADempiere with OSGi modularity. iDempiere implements a fully loaded ERP, supply chain, and CRM suite right out of the box. Built with Java, iDempiere supports both PostgreSQL and Oracle Database, and it can be customized extensively through modules built to the OSGi specification. iDempiere is perfectly suited to managing complex business scenarios involving multiple partners, requiring dynamic reporting, or employing point-of-sale and warehouse services. Being enterprise-ready comes with a price. iDempiere’s feature-rich tools and complexity impose a steep learning curve and require a commitment to integration support. Of course, those costs are offset by savings from the software’s free GPL2 licensing. iDempiere’s easy install script, small resource footprint, and clean interface also help alleviate some of the startup pains. There’s even a virtual appliance available on Sourceforge to get you started. SugarCRM held the sweet spot in open source CRM since, well, forever. Then last year Sugar announced it would no longer contribute to the open source Community Edition. Into the ensuing vacuum rushed SuiteCRM – a fork of the final Sugar code. SuiteCRM 7.2 creates an experience on a par with SugarCRM Professional’s marketing, sales, and service tools. With add-on modules for workflow, reporting, and security, as well as new innovations like Lucene-driven search, taps for social media, and a beta reveal of new desktop notifications, SuiteCRM is on solid footing. The Advanced Open Sales module provides a familiar migration path from Sugar, while commercial support is available from the likes of SalesAgility, the company that forked SuiteCRM in the first place. In little more than a year, SuiteCRM rescued the code, rallied an inspired community, and emerged as a new leader in open source CRM. Who needs Sugar? We typically focus attention on CRM vis-à-vis small and midsize business requirements. But nonprofit and advocacy groups need to engage with their “customers” too. Enter CiviCRM. CiviCRM addresses the needs of nonprofits with tools for fundraising and donation processing, membership management, email tracking, and event planning. Granular access control and security bring role-based permissions to views, keeping paid staff and volunteers partitioned and productive. This year CiviCRM continued to develop with new features like simple A/B testing and monitoring for email campaigns. CiviCRM deploys as a plug-in to your WordPress, Drupal, or Joomla content management system -- a dead-simple install if you already have one of these systems in place. If you don’t, CiviCRM is an excellent reason to deploy the CMS. It’s a niche-filling solution that allows nonprofits to start using smarter, tailored tools for managing constituencies, without steep hurdles and training costs. For marketers, the Internet -- Web, email, social, all of it -- is the stuff dreams are made on. Mautic allows you to create Web and email campaigns that track and nurture customer engagement, then roll all of the data into detailed reports to gain insight into customer needs and wants and how to meet them. Open source options in marketing automation are few, but Mautic’s extensibility stands out even against closed solutions like IBM’s Silverpop. Mautic even integrates with popular third-party email marketing solutions (MailChimp, Constant Contact) and social media platforms (Facebook, Twitter, Google+, Instagram) with quick-connect widgets. The developers of Mautic could stand to broaden the features for list segmentation and improve the navigability of their UI. Usability is also hindered by sparse documentation. But if you’re willing to rough it out long enough to learn your way, you’ll find a gem -- and possibly even gold -- in Mautic. The commercial software market in the human resource management space is rather fragmented, with Talent, HR, and Workforce Management startups all vying for a slice of the pie. It’s little wonder the open source world hasn’t found much direction either, with the most ambitious HRM solutions often locked inside larger ERP distributions. OrangeHRM is a standout. OrangeHRM tackles employee administration from recruitment and applicant tracking to performance reviews, with good audit trails throughout. An employee portal provides self-serve access to personal employment information, time cards, leave requests, and personnel documents, helping reduce demands on HR staff. OrangeHRM doesn’t yet address niche aspects like talent management (social media, collaboration, knowledge banks), but it’s remarkably full-featured. Professional and Enterprise options offer more advanced functionality (in areas such as recruitment, training, on/off-boarding, document management, and mobile device access), while community modules are available for the likes of Active Directory/LDAP integration, advanced reporting, and even insurance benefit management. LibreOffice is the easy choice for best open source office productivity suite. Originally forked from OpenOffice, Libre has been moving at a faster clip than OpenOffice ever since, drawing more developers and producing more new features than its rival. LibreOffice 5.0, released only last month, offers UX improvements that truly enhance usability (like visual previews to style changes in the sidebar), brings document editing to Android devices (previously a view-only prospect), and finally delivers on a 64-bit Windows codebase. LibreOffice still lacks a built-in email client and a personal information manager, not to mention the real-time collaborative document editing available in Microsoft Office. But Libre can run off of a USB flash disk for portability, natively supports a greater number of graphic and file formats, and creates hybrid PDFs with embedded ODF files for full-on editing. Libre even imports Apple Pages documents, in addition to opening and saving all Microsoft Office formats. LibreOffice has done a solid job of tightening its codebase and delivering enhancements at a regular clip. With a new cloud version under development, LibreOffice will soon be more liberating than ever. Open source BPM has become a mature, cost-effective alternative to the top proprietary solutions. Having led the charge since 2009, Bonitasoft continues to raise the bar. The new Bonita BPM 7 release impresses with innovative features that simplify code generation and shorten development cycles for BPM app creation. Most important to the new version, though, is better abstraction of underlying core business logic from UI and data components, allowing UIs and processes to be developed independently. This new MVC approach reduces downtime for live upgrades (no more recompilation!) and eases application maintenance. Bonita contains a winning set of connectors to a broad range of enterprise systems (ERP, CRM, databases) as well as to Web services. Complementing its process weaving tools, a new form designer (built on AngularJS/Bootstrap) goes a long way toward improving UI creation for the Web-centric and mobile workforce. No open source ETL or EAI solution comes close to Talend Open Studio in functionality, performance, or support of modern integration trends. This year Talend unleashed Open Studio 6, a new version with a streamlined UI and smarter tooling that brings it more in line with Talend’s cloud-based offering. Using Open Studio you can visually design, test, and debug orchestrations that connect, transform, and synchronize data across a broad range of real-time applications and data resources. Talend’s wealth of connectors provides support for most any endpoint -- from flat files to Hadoop to Amazon S3. Packaged editions focus on specific scenarios such as big data integration, ESB, and data integrity monitoring. New support for Java 8 brings a speed boost. The addition of support for MariaDB and for in-memory processing with MemSQL, as well as updates to the ESB engine, keep Talend in step with the community’s needs. Version 6 was a long time coming, but no less welcome for that. Talend Open Studio is still first in managing complex data integration -- in-house, in the cloud, or increasingly, a combination of the two. Complex integration patterns may demand the strengths of a Talend to get the job done. But for many lightweight microservices, the overhead of a full-fledged enterprise integration solution is extreme overkill. Warewolf ESB combines a streamlined .Net-based process engine with visual development tools to provide for dead simple messaging and application payload routing in a native Windows environment. The Warewolf ESB is an “easy service bus,” not an enterprise service bus. Drag-and-drop tooling in the design studio makes quick work of configuring connections and logic flows. Built-in wizardry handles Web services definitions and database calls, and it can even tap Windows DLLs and the command line directly. Using the visual debugger, you can inspect execution streams (if not yet actually step through them), then package everything for remote deployment. Warewolf is still a .40.5 release and undergoing major code changes. It also lacks native connectors, easy transforms, and any means of scalability management. Be aware that the precompiled install demands collection of some usage statistics (I wish they would stop that). But Warewolf ESB is fast, free, and extensible. It’s a quirky, upstart project that offers definite benefits to Windows integration architects. KNIME takes a code-free approach to predictive analytics. Using a graphical workbench, you wire together workflows from an abundant library of processing nodes, which handle data access, transformation, analysis, and visualization. With KNIME, you can pull data from databases and big data platforms, run ETL transformations, perform data mining with R, and produce custom reports in the end. KNIME’s core analytics engine is free open source. The company offers several fee-based extensions for clustering and collaboration. (A portion of your licensing fee actually funds the open source project.) KNIME Server (on-premise or cloud) ups the ante with security, collaboration, and workflow repositories -- all serving to inject analytics more productively throughout your business lines. Teiid is a data virtualization system that allows applications to use data from multiple, heterogeneous data stores. Currently a JBoss project, Teiid is backed by years of development from MetaMatrix and a long history of addressing the data access needs of the largest enterprise environments. I even see uses for Teiid in Hadoop and big data environments. In essence, Teiid allows you to connect all of your data sources into a “virtual” mega data source. You can define caching semantics, transforms, and other “configuration not code” transforms to load from multiple data sources using plain old SQL, XQuery, or procedural queries. Teiid is primarily accessible through JBDC and has built-in support for Web services. Red Hat sells Teiid as JBoss Data Virtualization.